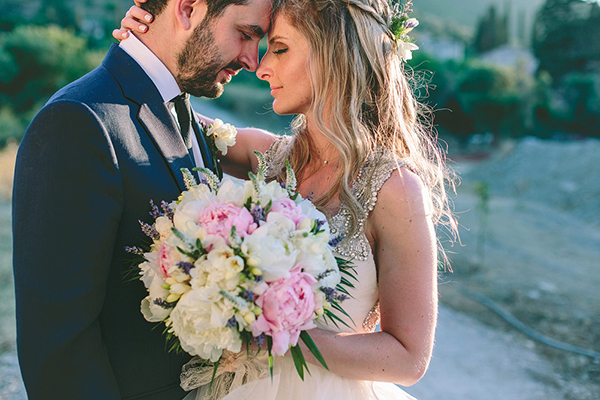 Italy is a perfect location to have a destination wedding and today’s wedding just proves it! 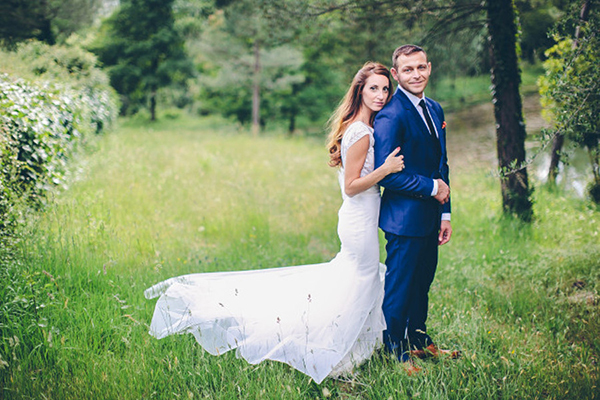 The lovely couple traveled from Switzerland to the beautiful Tuscan countryside to seal their love in the presence of their closest friends and family. 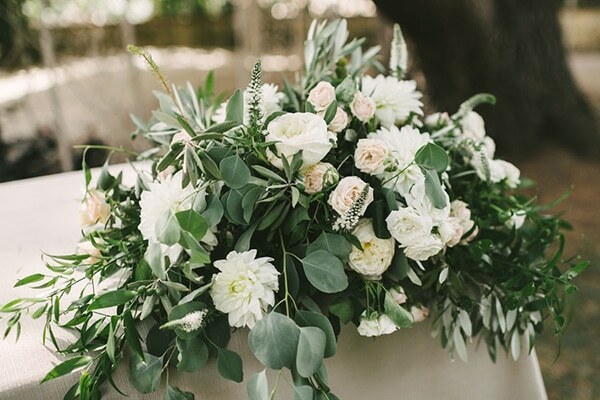 The rustic wedding decoration with flower arrangements in white and green hues matched perfectly to the beautiful surroundings! 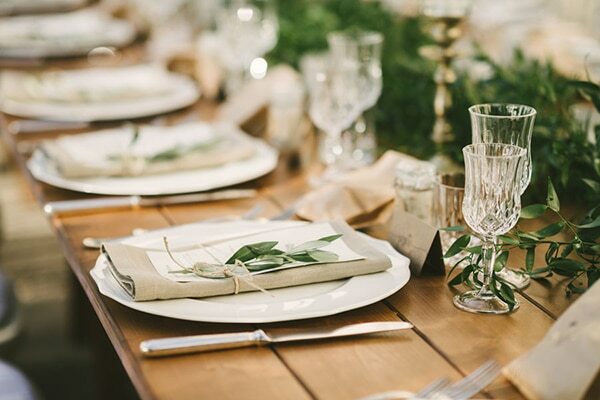 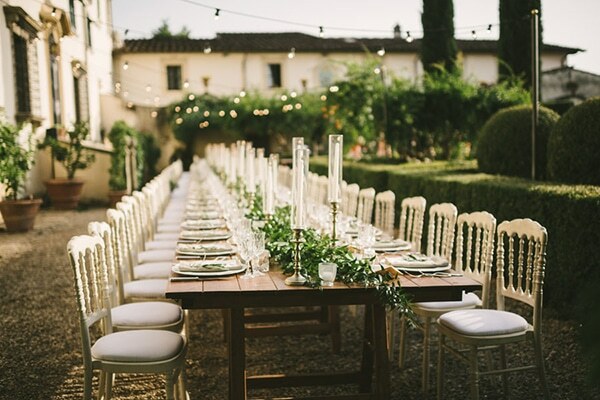 We loved the reception setting with fairy lights, candles and details with olive leaves. 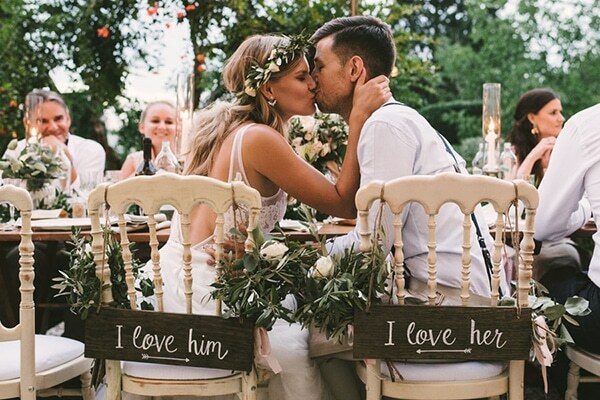 Have a look at the following photos and be mesmerized! 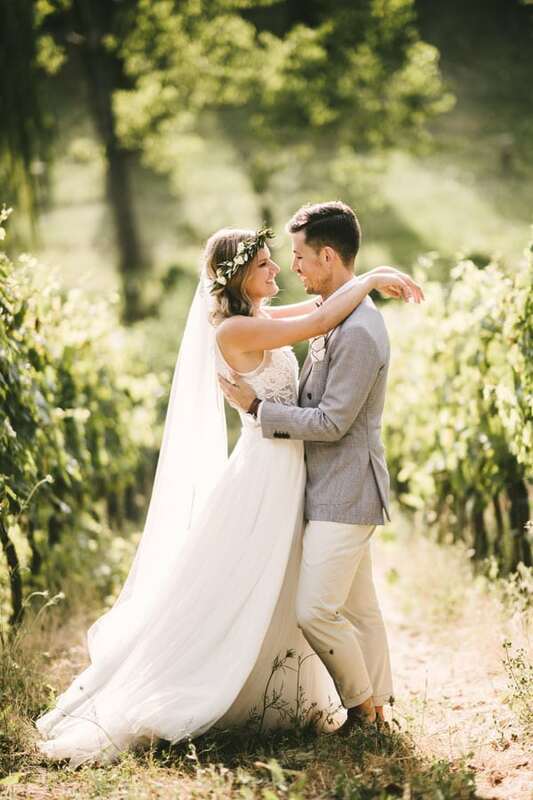 From wedding planner, The Tuscan Wedding: “As food, wine, and travel lovers, it’s only fitting that Elisabeth and Michael host their destination wedding in the beautiful Tuscan countryside after being together for four wonderful years. 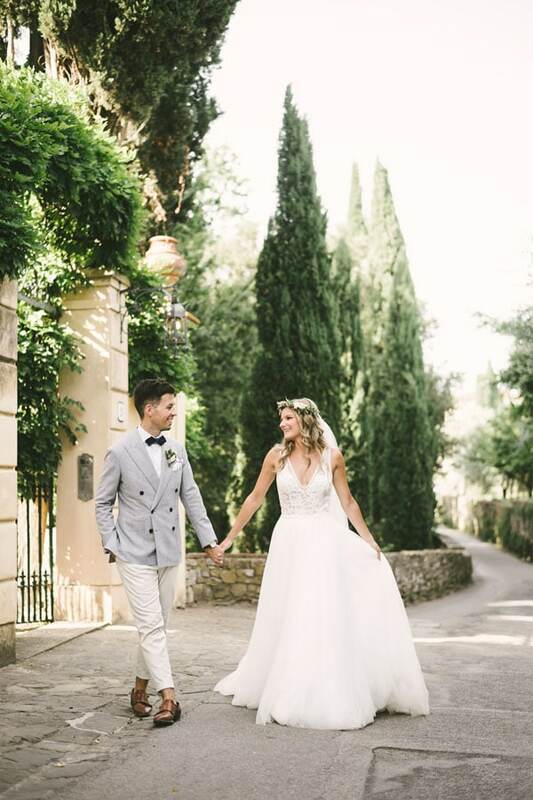 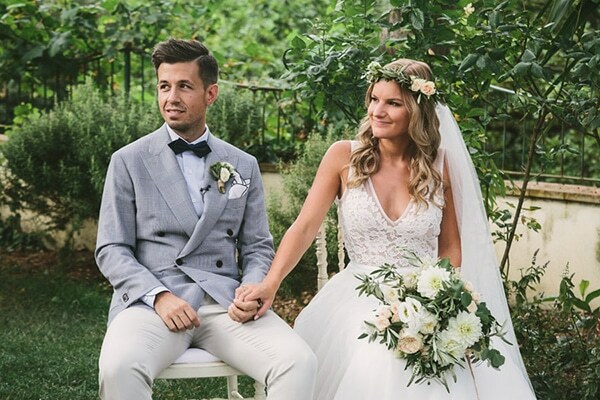 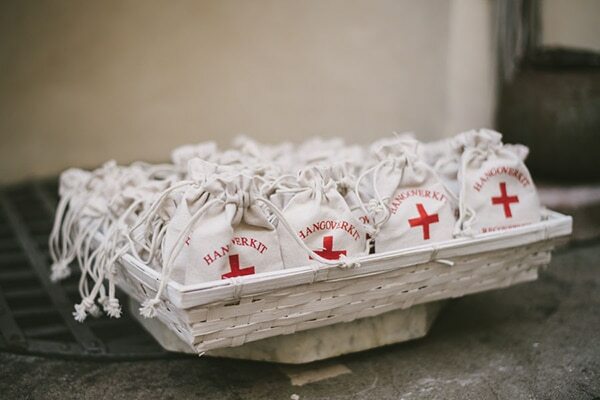 The duo as well as 67 of their closest loved ones traveled from Switzerland to share their special moment of becoming husband and wife in the stunning Villa Le Piazzole. 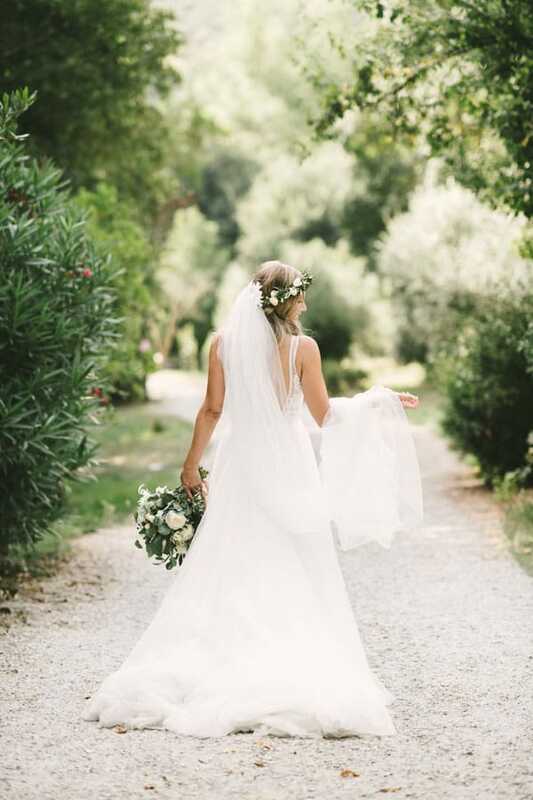 The Tuscan Wedding specializes in organizing luxury Italian destination weddings from start to finish, and we are proud of the passionate and meaningful work that we do for all of our amazing couples”. 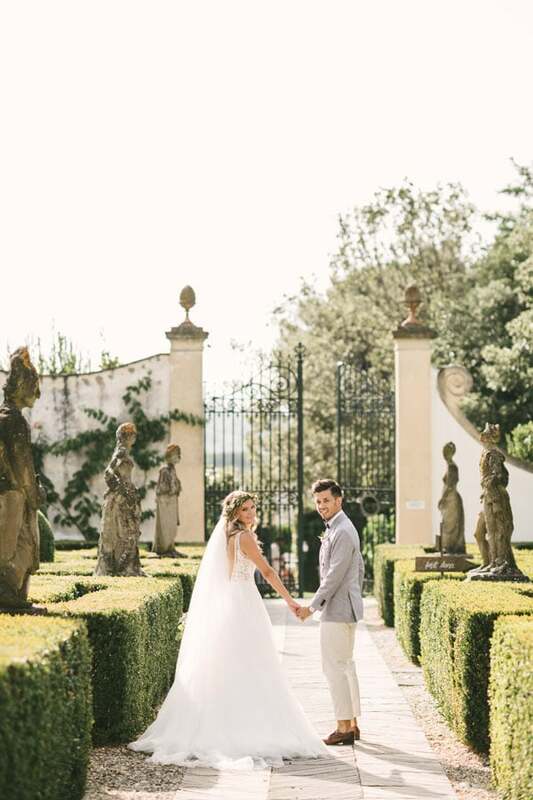 “Elisabeth and Michael’s special day was filled with meaningful details, and The Tuscan Wedding absolutely loved planning their beautiful start to forever! 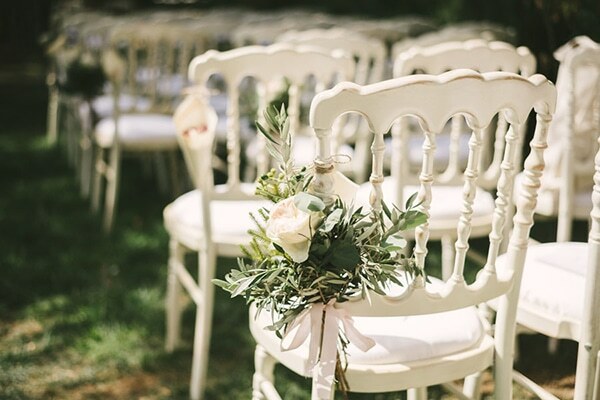 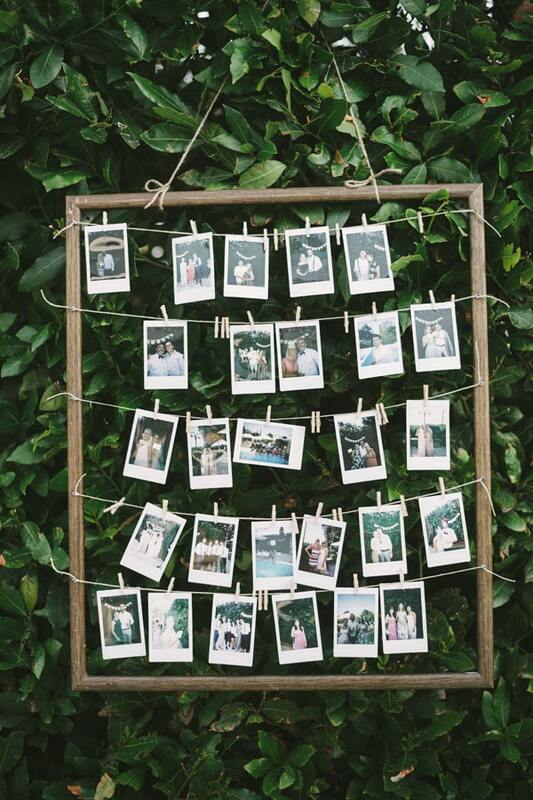 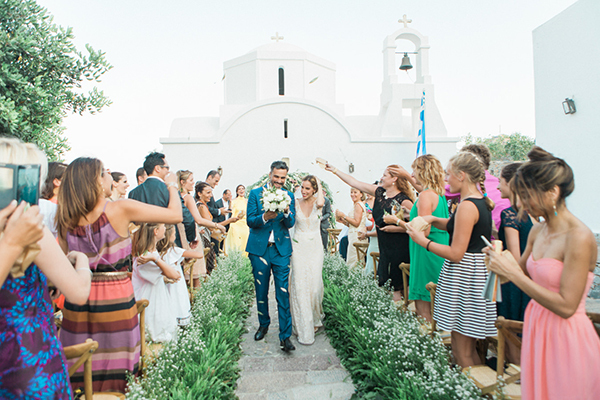 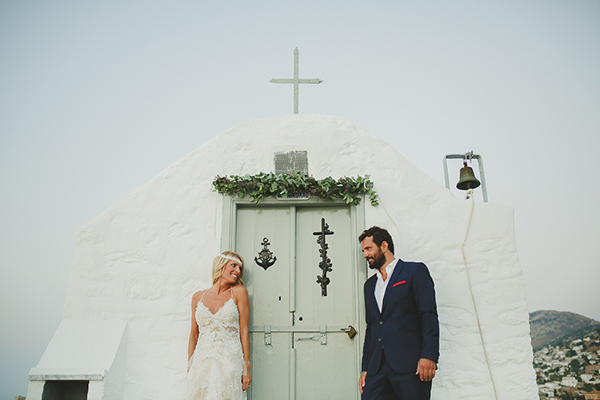 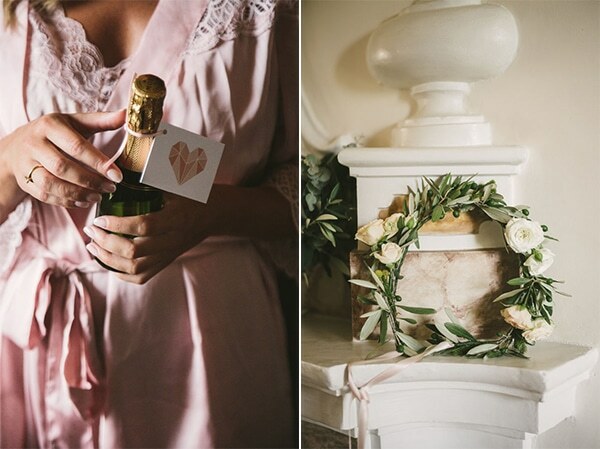 The couple’s rustic chic style was whimsically elegant and could be found in every corner. 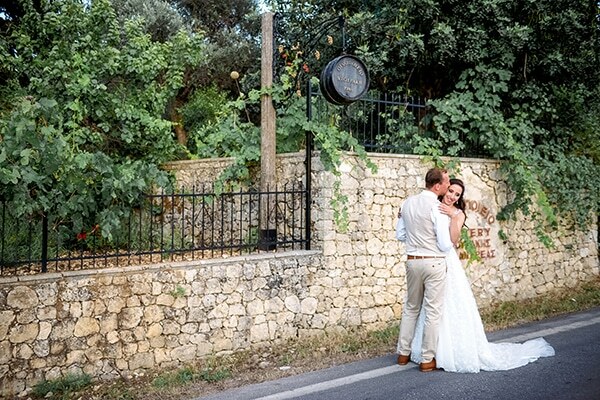 Their intimate ceremony was held beneath a dazzling chandelier hanging from a tree in the villa’s garden. 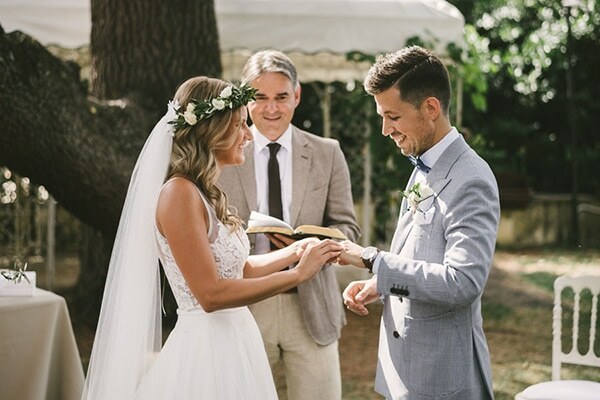 Michael waited for the arrival of his bride wearing khaki colored dress pants, a light grey double-breasted jacket with suspenders and a trendy bowtie. 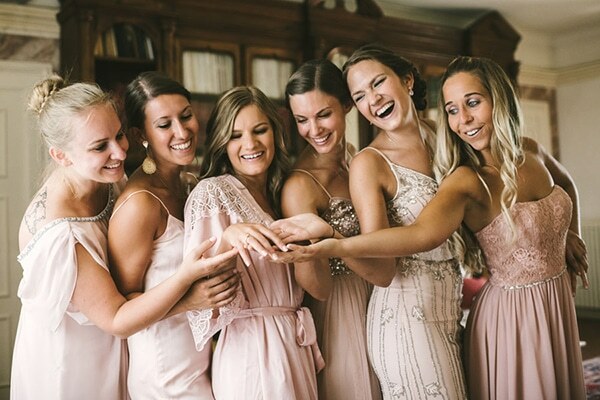 After the entrances of her six bridesmaids, Elisabeth was escorted by her father while they walked down the aisle to an instrumental of Christina Perri’s A Thousand Years played by Wedding Music & Lights. 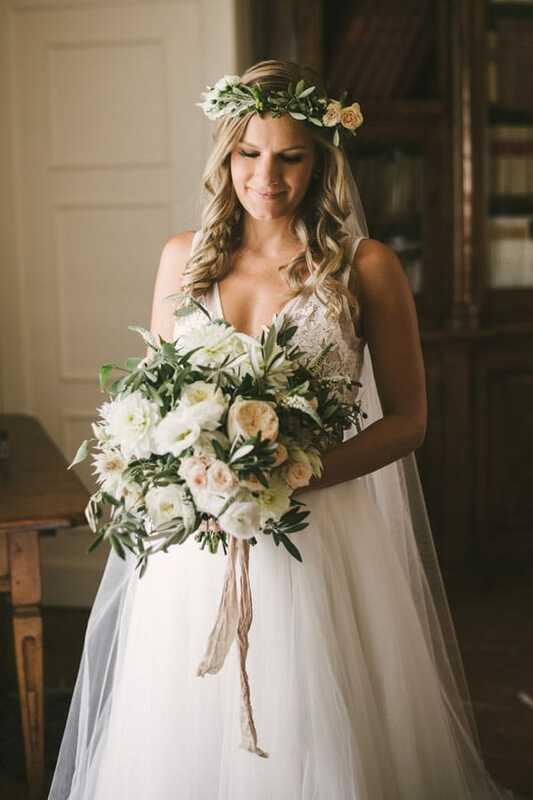 Her gown featured a mesh and lace covered bodice with an open back and layers upon layers of tulle, creating a full and flowy skirt. 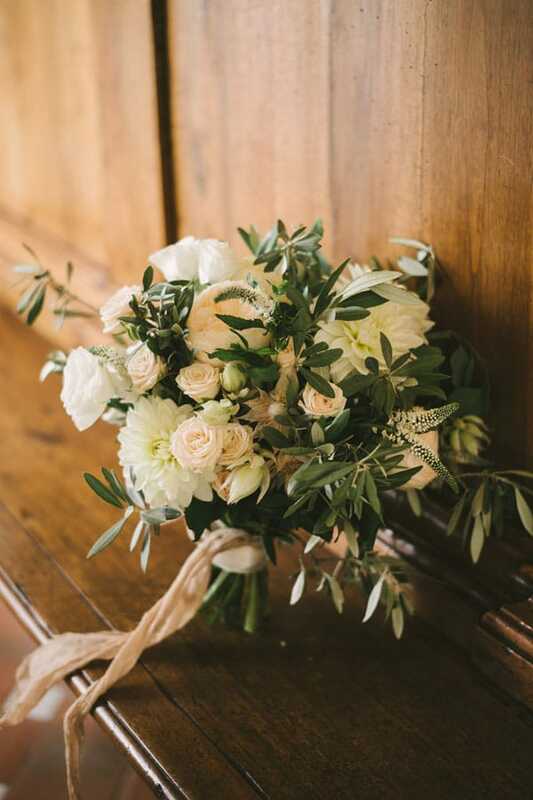 Her bridal bouquet was assembled to perfection by Flowers Living and consisted of white and blush florals filled with olive and eucalyptus branches, matching Michael’s boutonniere. 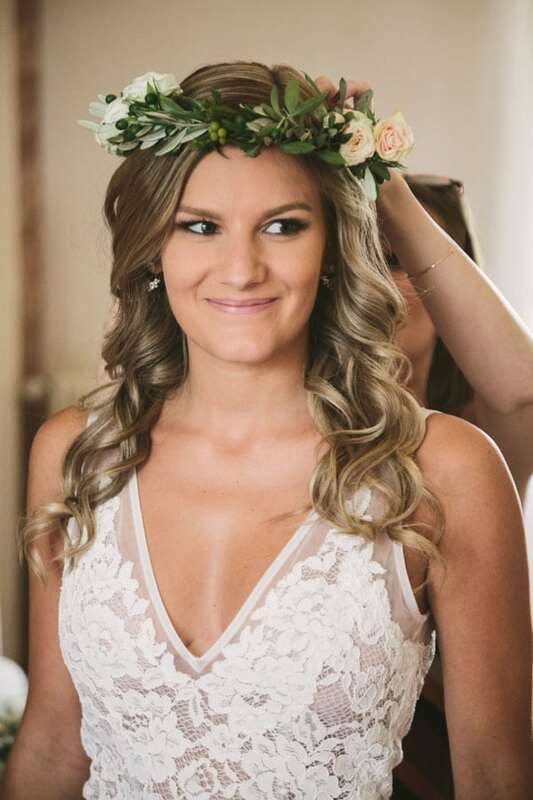 An accent flower crown completed Elisabeth’s effortlessly beautiful look”. 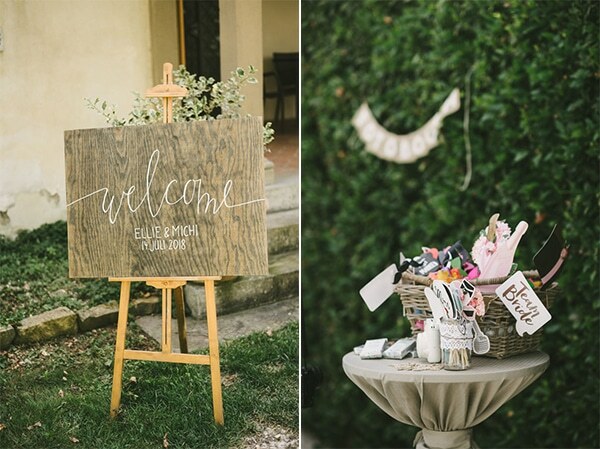 “Following dinner, the newlyweds and their guests enjoyed a delectable tiered cake with strawberries and whipped cream in the villa’s amphitheater with drinks, coffee, and fresh fruit provided as contributions from the guests were made on behalf on Elisabeth and Michael. 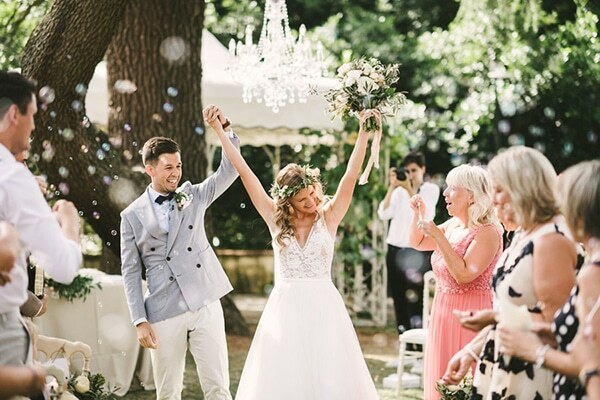 After this touching and lighthearted event, the couple then had their first dance together beneath a beautiful chandelier in the amphitheater to Ed Sheeran’s Perfect as guests surrounded them with love while holding sparklers. 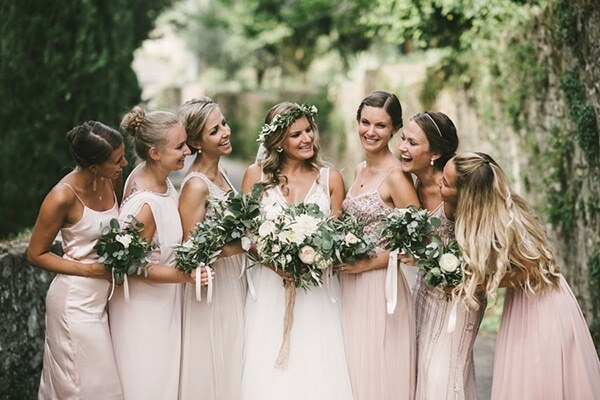 This created such a picture perfect moment and was a wonderful start to the end of the night festivities that were held inside the breakfast room of Villa Le Piazzole as DJ Matthew played all the hits that the guests absolutely loved”.